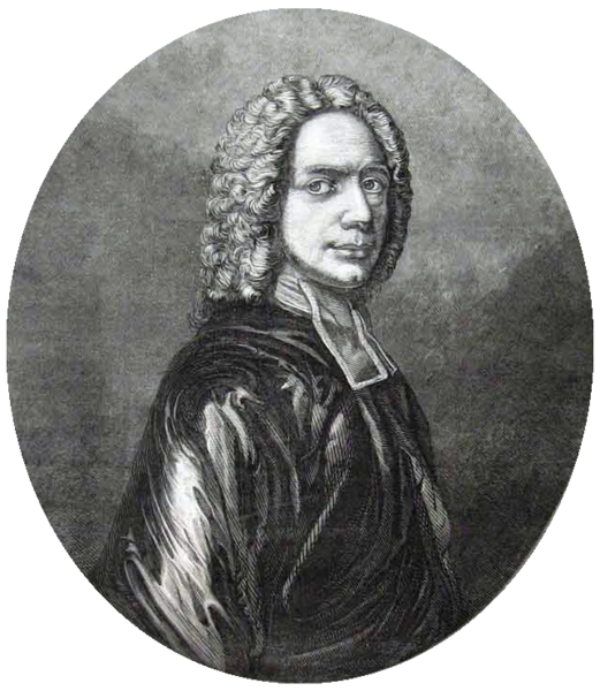 Isaac Watts (1674-1748) was born into a Nonconformist family, and remained involved in the dissenting churches for all his life. Although very bright and a promising student, he was not allowed to study at Oxford or Cambridge because at that time neither university would admit people who weren’t members of the Church of England. Watts moved to Stoke Newington, near London, and studied at a dissenting academy, after which he became a pastor and private tutor. Throughout his life he had a great passion for helping people with education and learning. Watts wrote a number of books, mostly on he subjects of Logic and Theology. He also published several collections of hymns and sacred poetry, including a collection specifically for children (Divine Songs attempted in easy language for the Use of Children, published 1715). Watts was one of the first major writers of English hymns and has had a profound influence on hymnody and hymnwriters. Charles Wesley is said to have admired Watts greatly. While Watts wrote many hymns that remain widely sung today, his most well known and arguably most popular is ‘When I Survey the Wondrous Cross’ which was published in Hymns and Spiritual Songs in 1707. Since 1790 it has been sung to ROCKINGHAM, a stirring and dignified tune, adapted by Edward Miller (1735-1807) from a pre-existing melody.